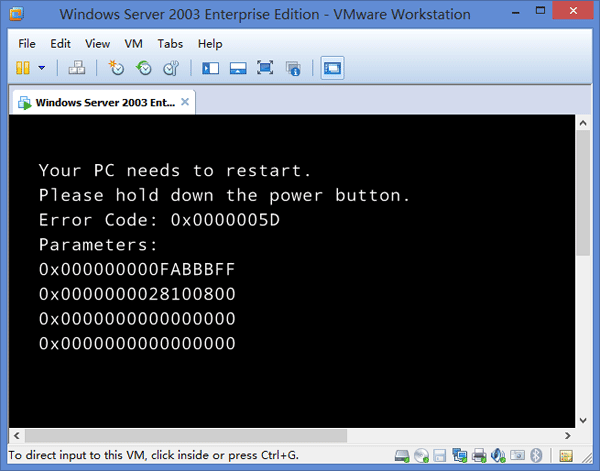 There are many situations where you need to open up the Command Prompt as administrator. But in Windows 8 the classic Start Menu is replaced with a new Charm Bar, which doesn’t provide you an option to run the Command Prompt. 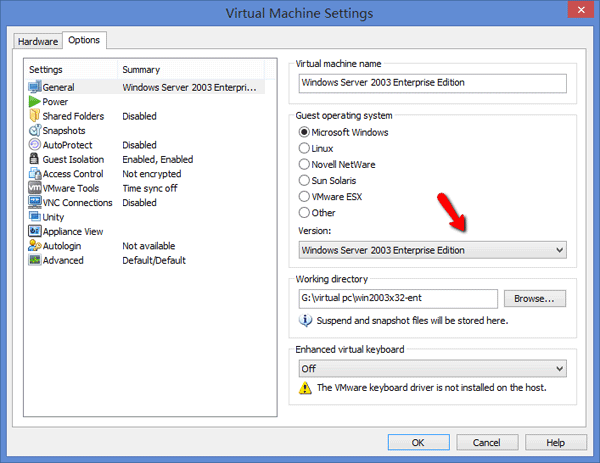 So here we’ll show you 2 options to run the Command Prompt as administrator in Windows 8. 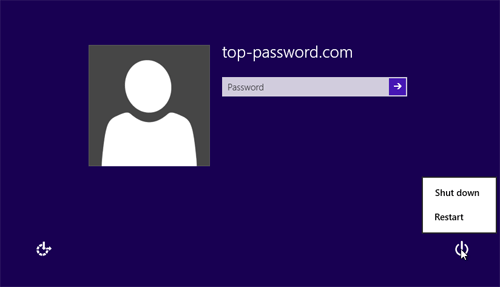 Note: If you have logged on as a standard or limited user, you’ll be prompted to enter the administrator password when trying to run the Command Prompt as administrator. 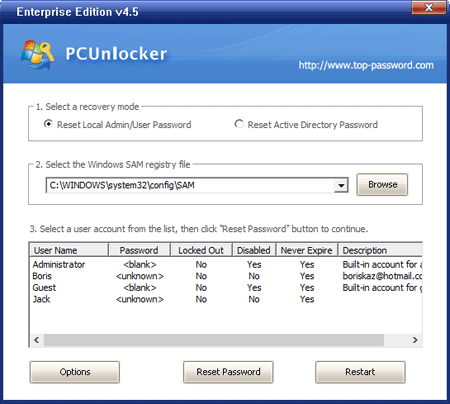 If you’ve forgotten the admin password, you can reset it using a Windows Password Reset boot CD or USB drive. Right-click in the bottom left corner of your screen, or press the Windows + X keyboard combination. This will bring up a menu with many administrative options, including Command Prompt (Admin), Control Panel, Computer Management, Task Manager, Windows Explorer, etc. Simply click on the Command Prompt (Admin) option, it will open up a Command Prompt with administrator privileges. This Win + X menu is also know as Power User Menu. 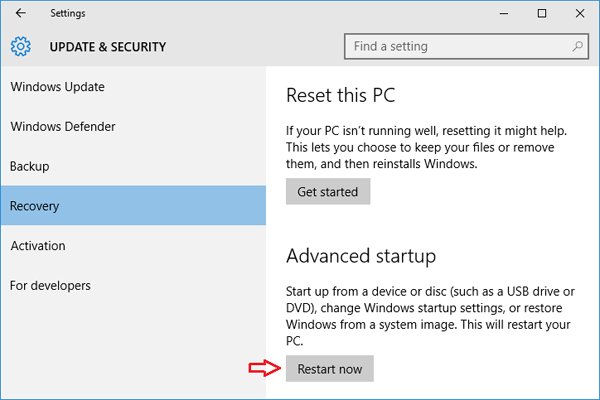 It should be the easiest way to run the Command Prompt as administrator in Windows 8. Move the mouse cursor to the bottom right corner of the screen, the charm bar will appear on the right side of the screen. Click on the Search icon. Type cmd in the Search box. 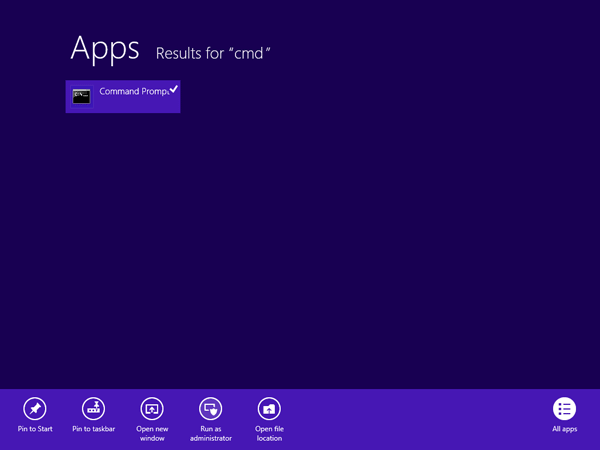 Windows 8 will show Command Prompt in search results page. Right-click on the shortcut and select “Run as administrator” option given at the bottom. That’s it. 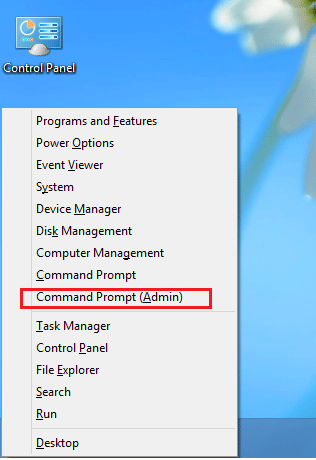 These are many different ways to open Command Prompt as administrator in Windows 8, but the methods above should be the easiest ones. Have you upgraded to Windows 8 yet? If you have, you’ve probably noticed how important the corners are to navigate in Windows 8. The corners on your screen are hot corners and give you access to different Windows features. 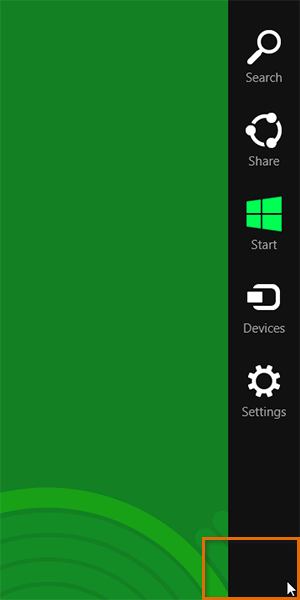 The bottom left-hand hot corner of the screen will allow you to access the Start Screen. 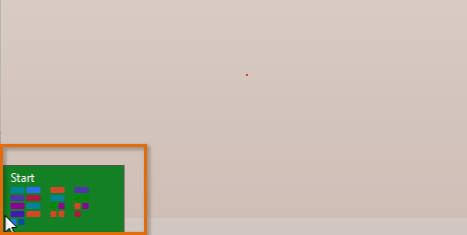 When you move your mouse cursor to bottom-left corner, it shows you a small Start Screen thumbnail to go to Start Screen. 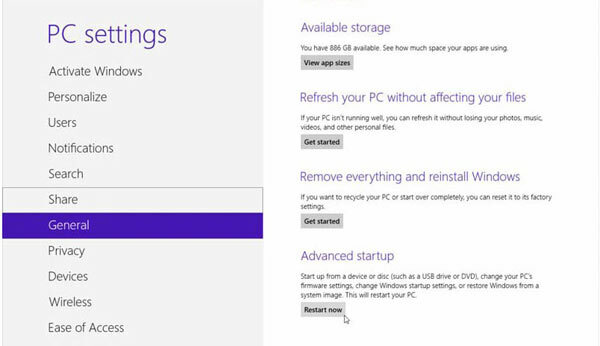 With mouse left click, it toggles between the Desktop (if opened) and new Start Screen (Metro screen). Right-clicking in the left hand corner will bring up new Power User Menu with all admin tools like Device Manager, Control Panel, Command Prompt, etc. If you move your cursor to top-right corner or bottom-right corner, the new Charms Bar is shown containing direct shortcuts to Search, Share, Start Screen, Device Manager and Settings. Hot corners make navigating in Windows 8 simpler, and even a little fun! Windows 8 displays app notifications in the Metro-style Start Screen for installed apps, Calendar events, new email, and other app events. But you might not be interested in getting notifications for all apps, in such cases you can configure which apps can sent out notifications for you. 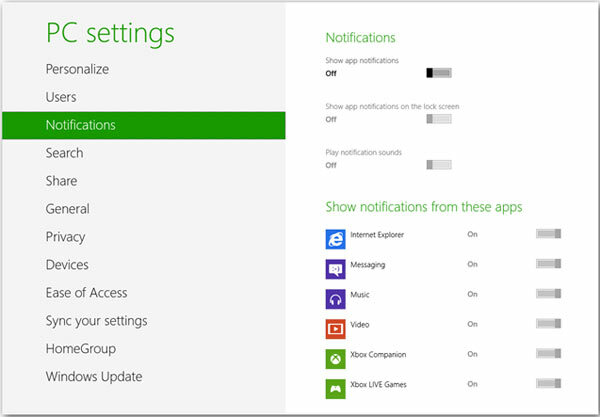 In this article we’ll show you how to turn off app notifications in Windows 8. 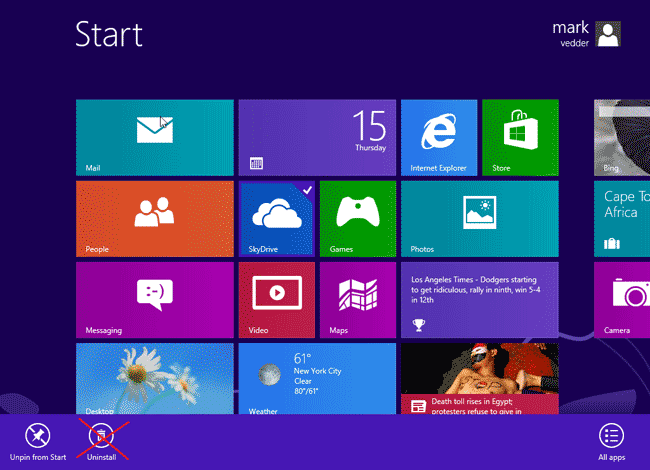 How to Turn Off App Notification in Windows 8? Access the Charms bar by pressing Windows + C or moving your mouse to the bottom right of the screen and slowly moving the mouse up. When the Charms bar appears, click on the Settings. Click on More PC Settings link at the bottom of the sidebar. 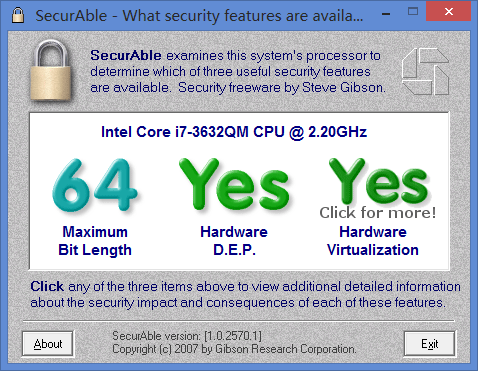 In the PC Settings screen, navigate to Notifications section in the left pane. In the right pane, there are ‘Show app notifications’, ‘Show app notifications on the Lock Screen’ and ‘Play notification sounds’ toggles. In order to complete turn off notifications for all apps, just turn off the Show app Notifications option. Other than turning off notifications for all installed apps, you can do so selectively as well. The lower part of the Notifications settings screen allows you to turn off notifications for individual apps of your choice.